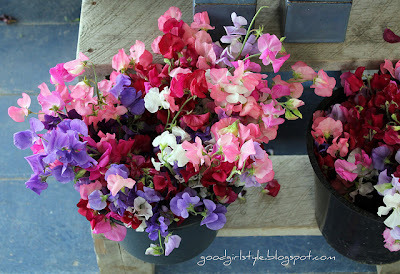 I just looooooove sweet peas. Love 'em. They are like little fairies!!! 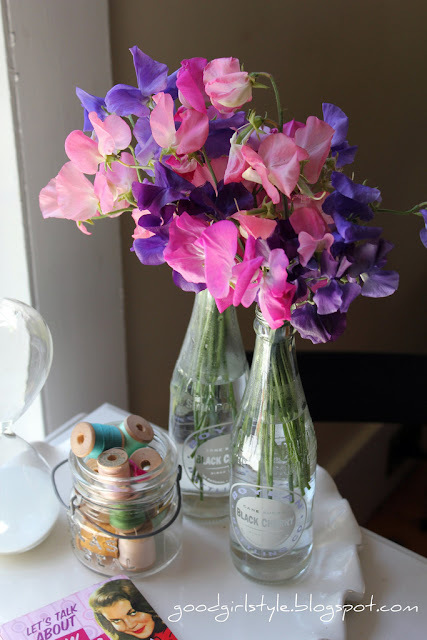 We all know I like pretty little pink things, so when it comes to flowers---peonies, sweet peas, and fuschias are my faves. Though last year I killed my fuschia plant. Very sad, very sad indeed. Also, sweet peas were my grandma's wedding flowers. Awww. The sweetest. I'm such a romantic fluff-ball. There, I admitted it. But no matter---sweet peas smell like heaven (especially if you get the more-heavily-scented heirloom varieties) and when I saw these little fairy wings at the farm stand this weekend, I couldn't resist.